Beautiful wall decor is always something to invest into. It can bring so much into decor but it can also take you away from the everyday routine. 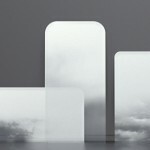 Mirage Mirror is one of those designs. It’s both a wall decor item and a mirror – practical and mesmerizing. 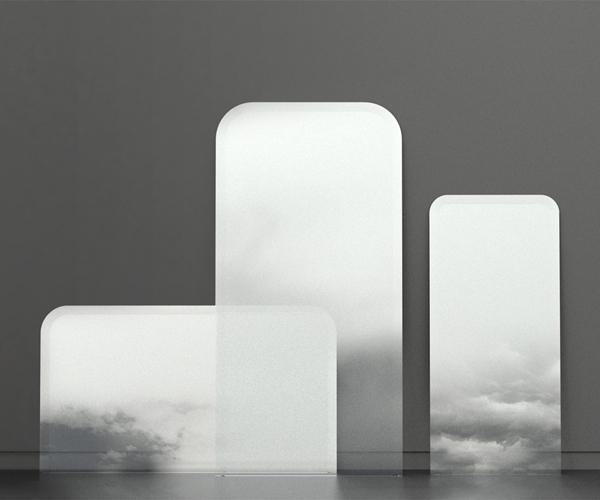 Featuring rounded edges the mirrors come in different sizes depicting vague heavy clouds. 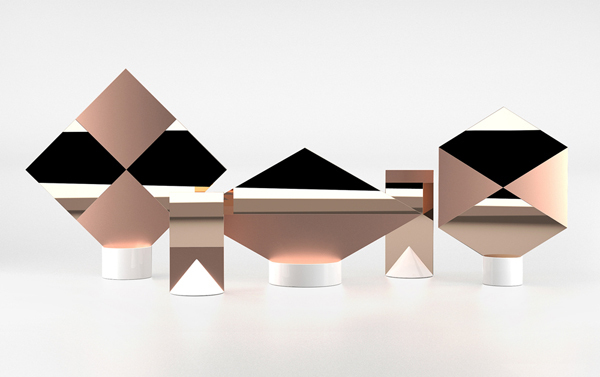 Benjamin Graindorge designed the series for Ymer&Malta who will partake in Design Miami Basel from 11-16 June 2013. 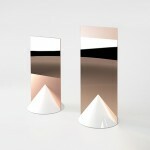 This is one of those incredible designs that makes a mirror more than a practical piece of furnishing. We love interesting mirror designs and the contemporary mirrors often bring not only new shapes but also fresh ideas in terms of the reflective surface. 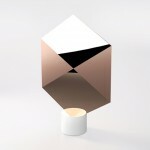 Signs Mirrors designed by Jeremy Murier and Daniel Martinez have just that kind of design. 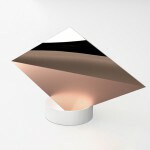 Inspired by nautical flags the mirrors are made of ceramic and polished copper. Featuring various shapes they also come with matte non reflective areas that together with the mirrored ones in some of the mirrors make for a certain pattern. 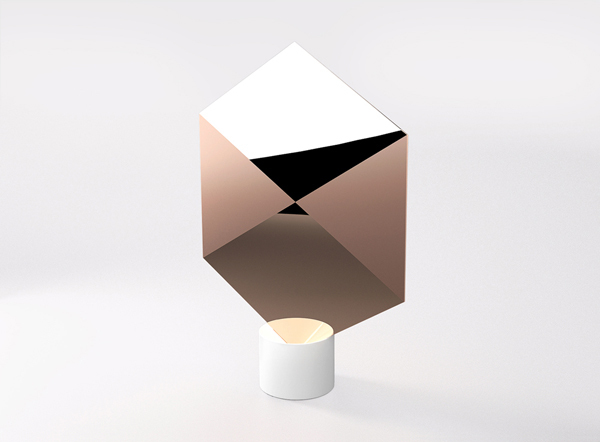 Many a time a mirror design is born out of something completely unrelated to design but other times a re-interpratation of an old design might result in something interesting like this A Mirror Darkly by Nick Ross. Some believe that in Stone Age humans used to use a bowl of water as a reflective material, mirror. 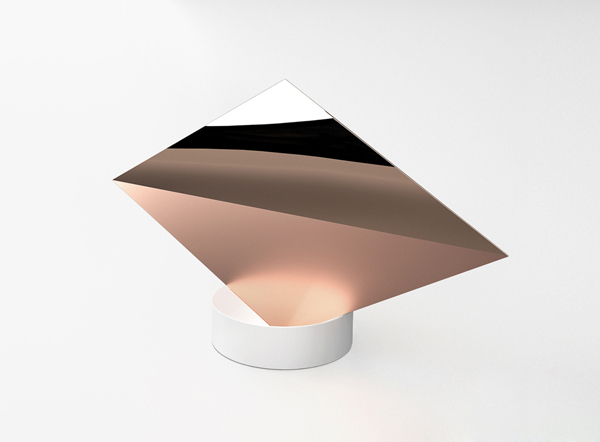 A Mirror Darkly is shaped as a bowl and on a tabltop looks like one while the mirror itself looks like water. 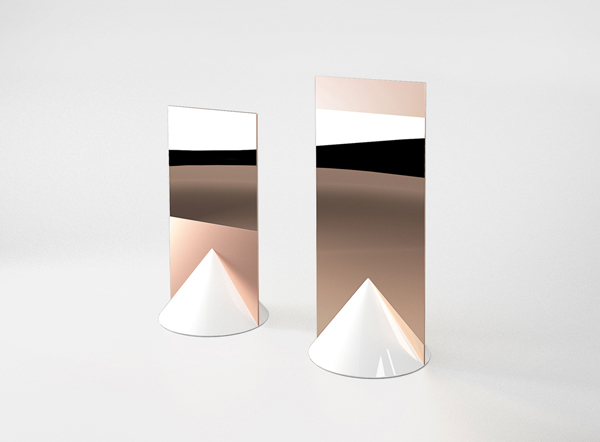 These incredible mirrors could be beautiful conversation starters in any home decor. 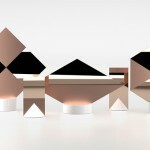 Conceptual and gorgeous they are more than practical objects.